With incredible views and a waterfront location in North Vancouver, there’s plenty to love about each and every home at Trophy at the Pier. 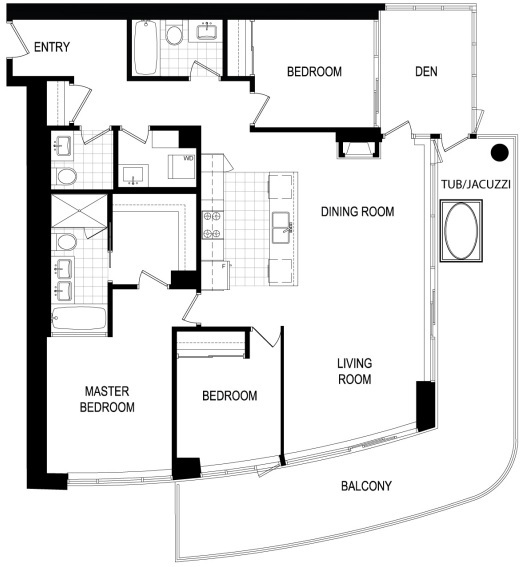 But we can’t help but be especially taken with the Suite 1 plan, a three-bedroom plus den home with 1,834 square feet of living space. This spacious home includes two and a half bathrooms and a 388-square-foot balcony that wraps around two sides of the home. 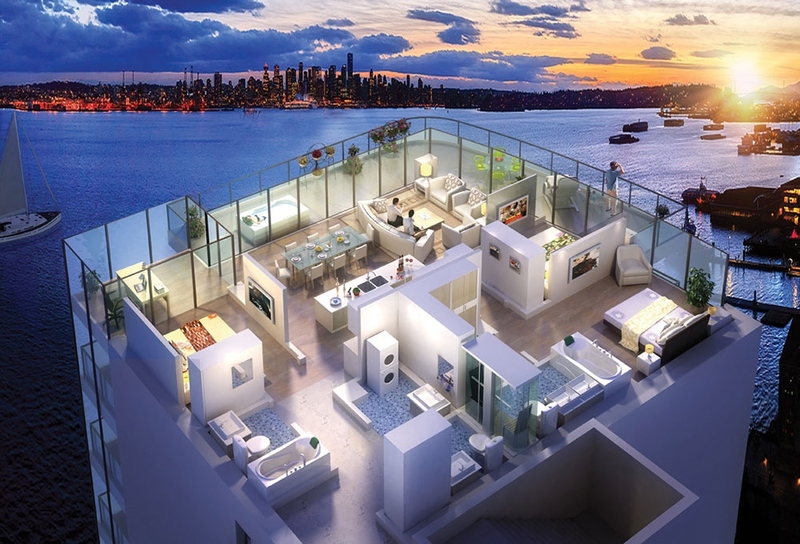 As the above rendering and below floorplan show, the outdoor living space also boasts a Jacuzzi — because the only way you can beat a waterfront view of the Burrard Inlet and downtown Vancouver is by enjoying it from a luxurious tub. And like all Trophy at the Pier homes, residents of the three-bedroom plus den home will have access to the project’s rooftop deck, complete with a hot tub and outdoor barbecue and fire pit area. There are also the five-star amenities for residents to enjoy at the neighbouring Pinnacle Hotel at the Pier, which include a lap pool, steam room, sauna, yoga studio and fully-equipped fitness centre. Currently in preconstruction and scheduled for completion in 2015, Trophy‘s 113 homes will be priced from $509,900. Make sure you register for the exciting project here.